Buy your Frecuency lenses graduated in Prodevisión, contact lenses with a quality like never before. 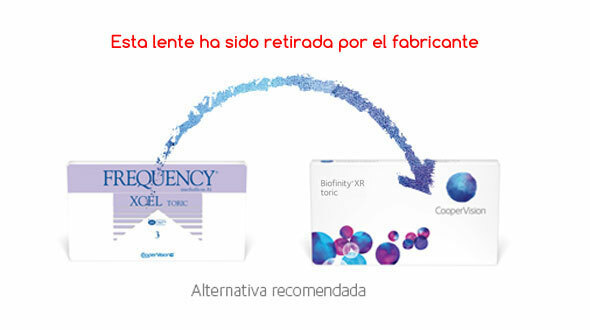 Frequency is a brand of monthly disposable toric lenses, manufactured by CooperVision. Frequency has aspheric manufacturing technology, which provides a better quality of vision when focusing light at a common point in the back of the eye, instead of in a general area, offering higher image resolution and increasing the depth of focus . Thanks to its Ultrasync system, the lens remains stable in the eye, minimizing the rotation and keeping the axis of the astigmatism corrected in place, maximizing the visual acuity of the patient. Manufactured with Methafilcon A material and with an average water content of 55%, these lenses maintain their hydration throughout the day, stabilizing their parameters and comfort from the first hour of use to the last. Cheap Frequency lenses correct myopia, hyperopia and astigmatism. Within this family we can find two varieties: Xcel Toric and Xcel Toric XR. They are the same lens, the difference between them are the some parameters that they cover, having the same radius of curvature and diameter. We detail each one of them. Frequency Xcel Toric XR: can correct astigmatisms up to -3.75 dp (for special patients with high cylinders), myopia up to -11.00 dp and hyperopia to +8.50 dp, being accessible to a greater number of patients. Both online contact lenses have blue handling dye, making it easier for users to handle, as they are easier to see in the lens case. These toric monthly lenses have a very simple cleaning and maintenance, you just have to use a single solution or peroxide daily. The use of Frequency online lenses is daily with a monthly replacement, ie, the lenses are started and the month (you have used 30 times or less) are thrown, using new lenses, thus avoiding many problems arising from the use of lenses of cheap contacts expired. They are presented in boxes of 3 units. With Frequency we will obtain a clearer vision, high level of comfort, easy handling and the best performance. 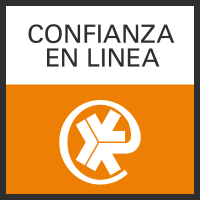 In Prodevisión we have all the original brands. If you can not find your cheap contact lenses among our brands, do not hesitate to contact us at the email address info@prodevision.com or phone 968 908 108, our contactologists will indicate the equivalent of your contact lenses online to the brand original, in this way, you will make sure that the ones you are going to ask for are the same ones that you usually use. 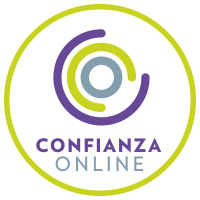 In Prodevisión you can buy cheap Frequency contact lenses quickly and with secure payment.